A pretty English market town packed with honey-coloured historic buildings, beautiful countryside and one of the most prestigious public schools in England. 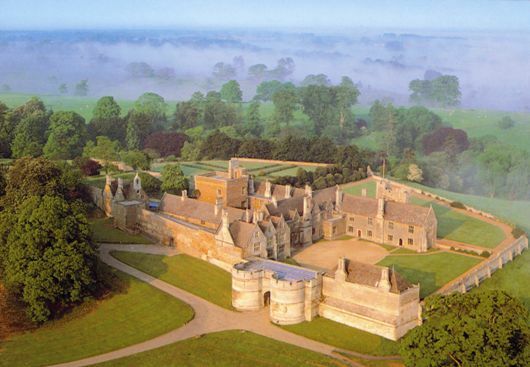 Uppingham is the perfect base to explore the county of Rutland and local sites including Burghley House, Rockingham Castle and Rutland Water. Enjoy shopping amongst honey-coloured buildings in a distinctly charming English market town with a wealth of history and a host of speciality and traditional retailers. For browsing around antiques shops and art galleries, Uppingham hits the mark perfectly allowing you to meander around the town for hours, finding hidden gems on every corner. In Rutland, good food is a passion and you will find great places to eat around the town. From traditional country inns to cosy English tea rooms, there is something to tempt your taste buds and set you up for exploring. Just opposite The Garden Hotel is the famous Uppingham School. Established in 1584 by Archdeacon Robert Johnson, Uppingham School is an attractive place of gateways and quadrangles set in 120 acres of beautiful countryside. Former pupils include TV chef Rick Stein and actor and comedian Stephen Fry and the school was used as a backdrop for parts of the Harry Potter filmls. Whilst not open to the public, organised groups are taken on tours during school holidays. Castles, country homes, picturesque villages and beautiful countryside, all within easy reach of The Garden Hotel. Rutland Water is one of the most important wildfowl reserves in Great Britain which regularly hosts over 20,000 waterfowl and is home to the largest osprey colony in England (see the ospreys March to September).